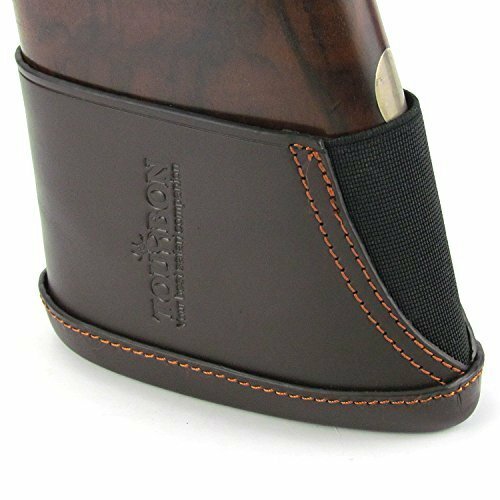 Tourbon Genuine leather slip on recoil pad for shotgun. Inside leather case there is a pad. Long lasting & durable. Excellent quality Stock dimensions is approx 5.5" x 1.97" x 3.74", fit for 4.8"~5.2" gun stock, with flexible elastic band able to fit most large stock. View More In Recoil Pads.